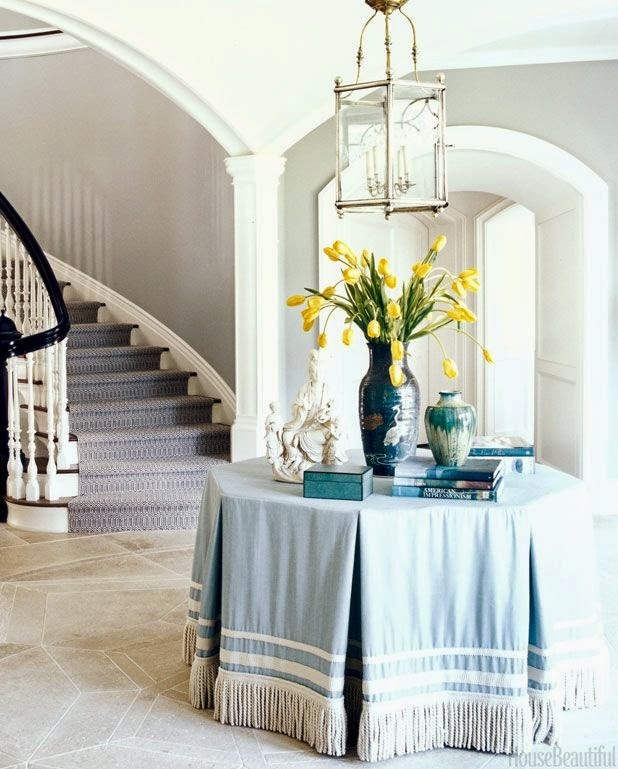 I am a firm believer that skirted tables are far too neglected in the design world. To me, skirted tables are under appreciated pieces of furniture. Why? Because they are so versatile, elegant, and most importantly, inexpensive. A skirted table is a great way to bring a feminine touch to a Master Bedroom as the side table for "her" side of the bed. Round skirted tables are great for smaller rooms where you really need to squeeze a table into a corner next to a sofa or chair, but you don't want it to feel squeezed in. Conversely, if you have a larger room and you need a larger table to fill up a big empty corner, a skirted table is a great solution. And did I mention the fantastic hidden storage possibilities? Also, not ready to invest a ton of money on an expensive dining room table, but you still want your room to look great in the interim? A larger skirted table is just the solution for the time being. With the right fabric choice, it will be elegant enough for your dining room. Then when you get around to buying the dining table of your dreams, you can fold up your table, store it away, and bring it out when you need extra seating for a dinner party. Two problems solved at once! To achieve the look, just be sure your tablecloth grazes the floor. You can also dress it up a bit more with a glass topper, or give it a little glamour with an antiqued mirror topper. 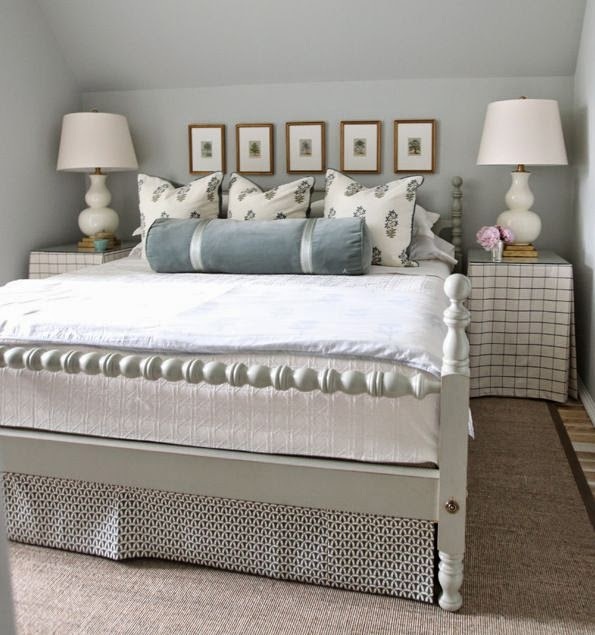 The antiqued mirror topper is especially lovely in a bedroom. A 72" tablecloth fits a 24" diameter table that is 24" tall. 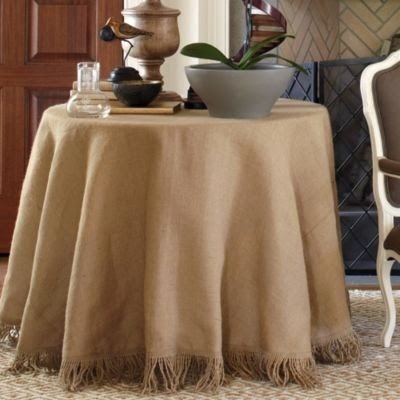 A 84" tablecloth fits a 24" diameter table that is 30" tall. A 90" tablecloth fits a 30" diameter table that is 30" tall. A 96" tablecloth fits a 36" diameter table that is 30" tall. A 108" tablecloth fits a 48" diameter table that is 30" tall. Ballard Designs has a great variety of options for table sizes. They call it their Terrific Table, and you can view that here. And tons of options for tablecloths here.